An undocumented Tibetan immigrant and a reckless Dominican-American truck driver forge a relationship that helps them overcome the adversities and heartbreak that life brings. Dechen, an undocumented worker, and Oscar, a reckless truck driver plagued by addiction, are immigrants to the United States who arrived under traumatic circumstances. Oscar teaches Dechen to drive, and Dechen provides companionship and support to Oscar through his failing health. Their relationship develops and deepens across identity differences due to reciprocity and their shared love of food. Parallel Parking is a feature-length narrative film produced by Aby Rao and Preeti Vidwans. The film touches up various topics including immigration issues, human rights, driving lessons, truck driving, Tibetan culture, Afro-Latinos, asylum seeker crisis, PTSD and unconventional relationship between immigrants. 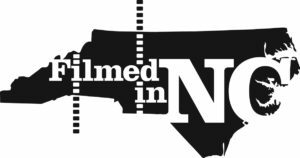 The film is funded by FILMED IN NC grant and was shot entirely in North Carolina. The film release is set for August 2018.